The response of an organism to pathogens proceeds in several steps, beginning with the natural barriers, e.g. the membrane of a plant cell or the skin of the mammalia, followed by the elements of the innate immunity, which enable an early defense reaction. The initial processing of the pathogen non-self antigens in somatic cells as well as the spatiotemporally concerted defense reaction including various elements of the innate immunity normally set the course for a coordinated and well-balanced adaptive immune response. The CRC focuses on cell-autonomous detection and effector molecules, which enable macrophages, but also other non-professional phagocytes, to eliminate particularly intracellular microbial pathogens. Like higher vertebrates plants are able to defend themselves against microbial pathogens. As plants do not have a circulating immune system with antibodies and immune cells, every single cell of a plant must be able to detect and effectively eliminate microbial pathogens. The distinct complexity of the research area poses a great challenge for the integrative understanding of the molecular interaction of animal and plant host cell components on the one hand with structures of intracellular pathogens on the other hand. 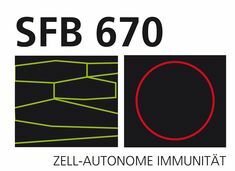 The research groups in Cologne and Bonn open a special chance to gain new insights into the function of cell-autonomous defense and its consequences for the immune defense against infectious agents in a complementary and interdisciplinary research network. Chance and necessity in evolution is a fundamental theme of biology. Adaptation is the deterministic part of this process: driven by natural selection, populations establish functional changes in response to changes in their environment and ecology. How can we understand this dynamics starting from its molecular basis, which lies in genes and their interactions? How do adaptation and functional innovation take place in the sea of stochastic changes of molecular evolution? These are the central questions addressed by CRC 680. Adaptive evolution takes place over a vast span of time scales. These processes range from innovations in the evolution of cell types and body plans that mark the differentiation between major lineages of the tree of life, over speciations and their molecular causes, to micro- evolutionary adaptation of populations to temporal and geographical changes in their habitat. Two areas of mainly experimental projects reflect these time scales: project area A addresses evolution between species and project area B evolution within species. Project area C contains theory-driven projects and reflects the intention of evolutionary theory to establish common dynamical principles governing micro- and macroevolution. 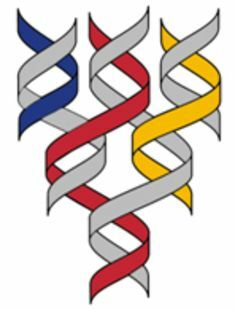 The CRC unites a unique spectrum of competence in evolutionary genetics, developmental biology, high-throughput genomics, population genetics, and statistical biophysics. Its experimental and theoretical projects are linked by collaborations, which focus on analysis of genomic data, regulatory interactions, gene expression data, and inference of selection. They serve the common goal to understand the complex, stochastic dynamics of molecular evolution in a quantitative way. This will require a deeper interplay of experiment and theory in biology, and the CRC will continue to be a breeding ground for this new science. The CRC 829 was build up to understand how molecular and cellular interactions within and between the different skin compartments are established and maintained to ensure homeostasis and to understand the key pathways by which challenges disturbing this communication cause skin disease. To achieve this overall goal the following questions will be addressed at a molecular level: How do skin cells interact and communicate with each other (similar and different cell types)? How does contact of skin cells with the extracellular matrix modulate communication? Which are the crucial signaling pathways used for communication? How does disturbance of key pathways affect skin homeostasis and how does this result in disease? Our overall aim is (1) to identify key communication pathways for cellular interactions in the skin, which serve to maintain tissue homeostasis, and (2) to define the role of these pathways in disease processes. In the long term this will allow to translate molecular mechanisms regulating skin homeostasis and skin disease to the design of novel therapeutic strategies. To address these questions we have selected two sets of projects: Research area A: Epithelial cell function; Research area B: Non-epithelial cell function. Mitochondria are essential cell organelles that are best known for their function in cellular energy homeostasis. However, research in the last two decades has unravelled an unexpected complexity of mitochondria and multiple ways how mitochondria interact with their cellular environment. Mitochondria are now recognised as dynamic and plastic organelles that are integrated into a complex network of cellular signalling cascades. They respond to alterations in cellular physiology but by themselves signal to determine cell fate and function. These complex and bi-directional interactions of mitochondria with the cell make it also necessary to revise the view on the role of mitochondria in disease. The CRC will tackle the challenge of mitochondrial complexity using novel interdisciplinary and collaborative approaches. The planned projects in research area A will examine how mitochondrial function adapts to changing physiological demands focussing on mitochondrial plasticity and the regulatory role of mitochondrial dynamics in preserving the functional integrity of mitochondria and the cell. Work in research area B examines the role of mitochondrial signalling under various stress conditions and in disease. Together, the planned experiments in the CRC will foster our understanding as to how mitochondria regulate cell function and therefore will provide new insight into the cell-type specificity of mitochondrial diseases.